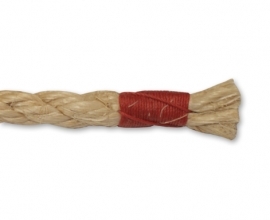 The Reef Knot thanks it’s name to it’s original purpose: tying up the reefs of a sail. 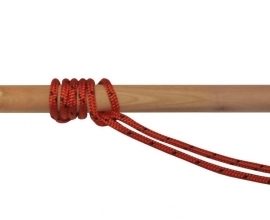 It is a binding knot most people will already know how to tie. 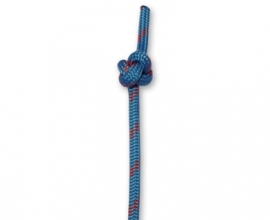 Be careful what you use this knot for as it can easily come undone and be pain to untie at the same time. 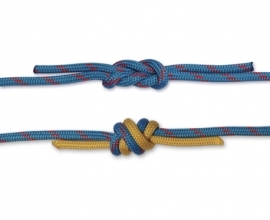 The Reef Knot can be tied using two ropes or the two end of the same rope. For ease of instruction we used two. 1. Cross line A on top of line B. 2. Pass the working end of line A underneath the the standing end of line B. 3. Cross line B on top of line A. Take the working end of line B and tuck it underneath line A so the working end of line B comes to the front of the knot. 4. 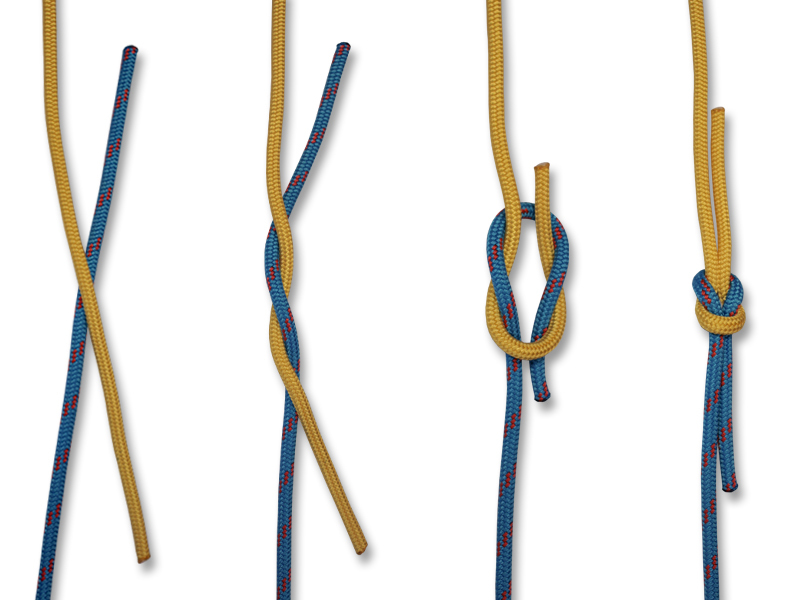 Dress the knot by pulling the working ends in opposite directions.